Trigraphs (scr-shr, spl-spr, squ-str) differentiated sorting activity. 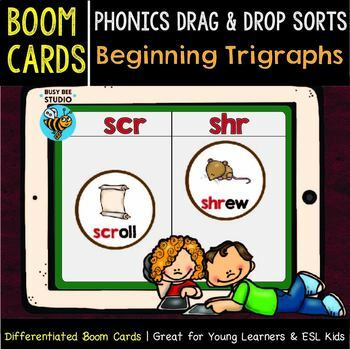 These drag and drop boom cards will help your students practice beginning trigraphs words. There are 61 drag and drop cards in this set. ★ Trigraphs (3 letter blends) Game "I have, who has"